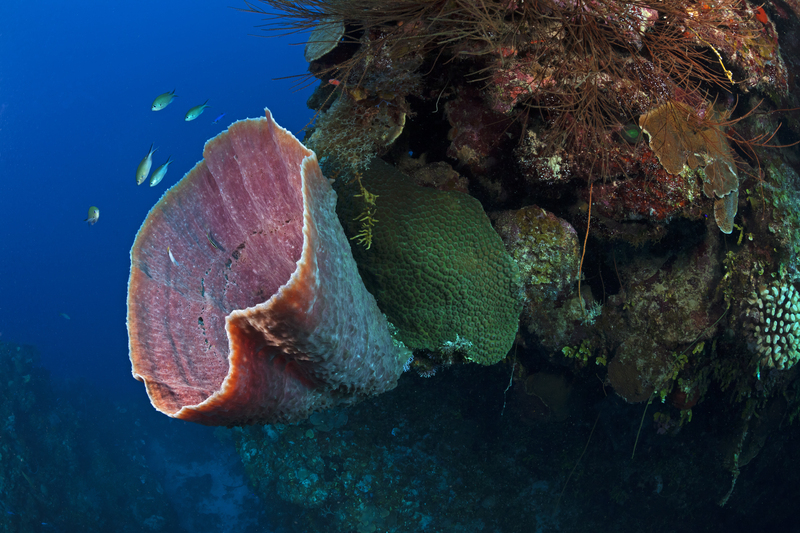 Brown Bowl Sponge (Cribochalina vasculum), Guanahacabibes Peninsula National Park, Pinar del Rio Province, western Cuba. Por Claudio Contreras. By Eduardo Najera and Fay Crevoshay. 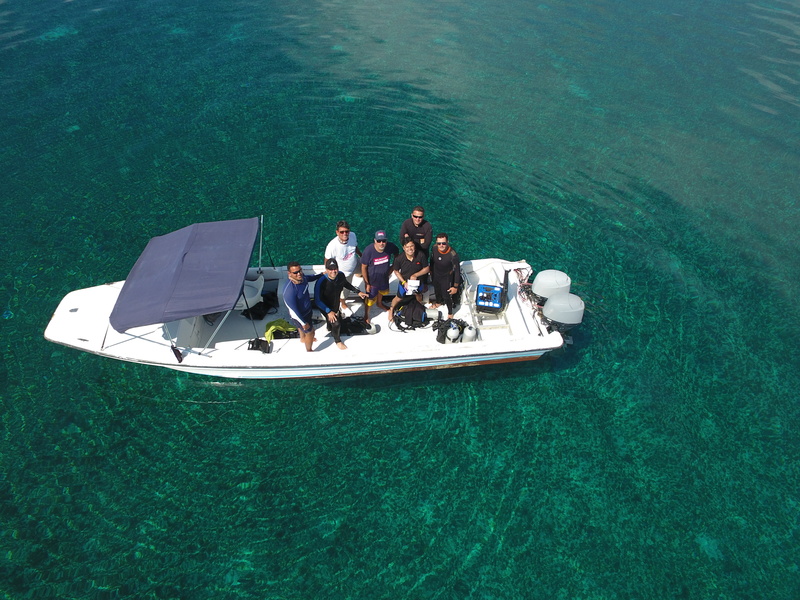 The WILDCOAST team carried out an expedition to Cuba in September with a film crew from “Por el Planeta”, a national news program on Mexico’s Televisa network. 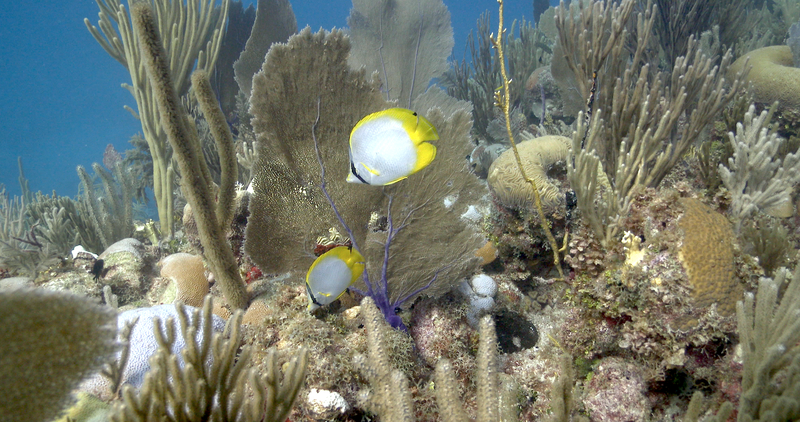 The objective was to document the incredible richness of Cuba’s coral reef and mangrove ecosystems and protected areas. 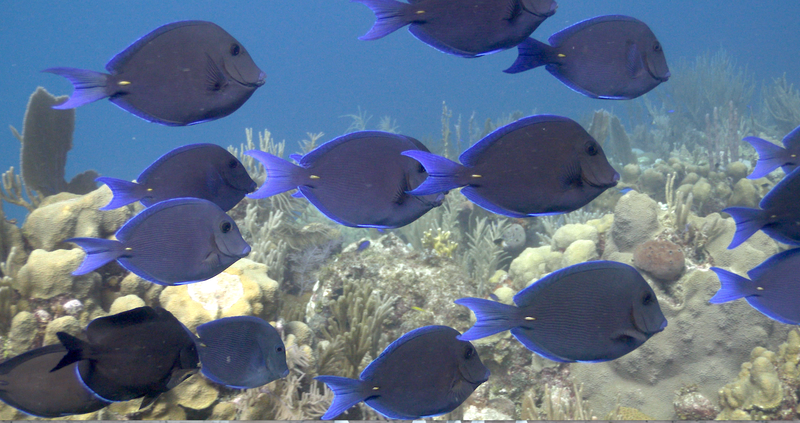 It is almost impossible to describe or even depict the beauty and of Cuba’s underwater and coastal treasures and their importance for the conservation of ocean biodiversity. 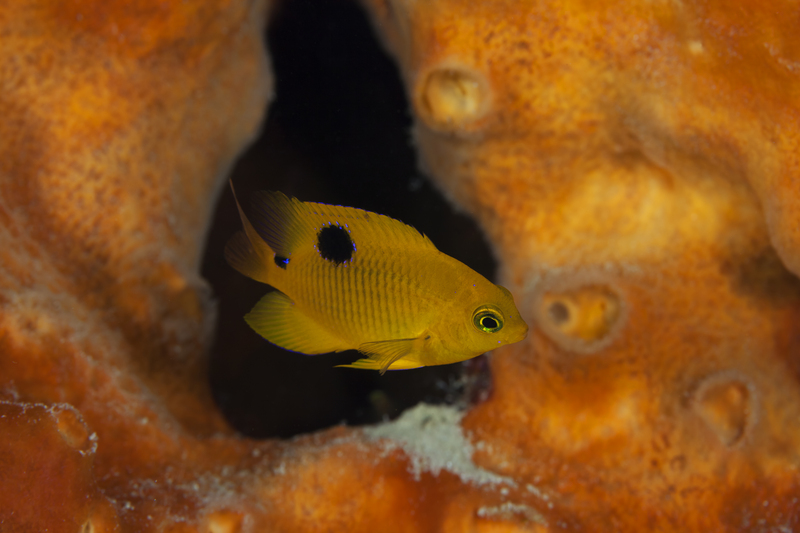 But at places like Jardines de la Reina, one of the world’s most well preserved marine protected areas, or at Guanahacabibes National Park, the richness of the corals and mangroves give life to the ocean. It’s common to hear from people that have visited Cuba that the island has “frozen in time”, a vision you see because of its old classic cars, colonial architecture and lack of internet, but mostly because of its oceans. 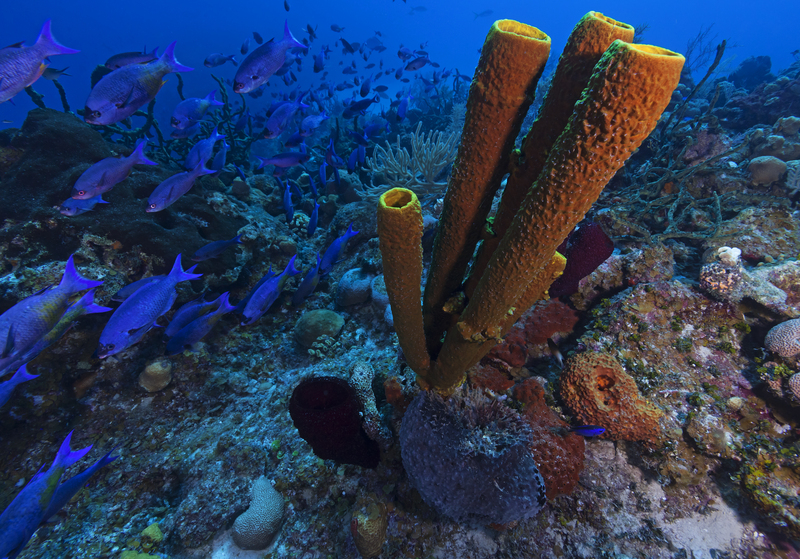 Thanks to Cuba’s marine protected areas, you can get a sense of how the coral reefs and mangrove forest used to look 50 years ago in the rest of the Caribbean Sea. This area can show just how abundant, diverse and majestic the tropical oceans can be if we just respect the ecosystems and natural resources. 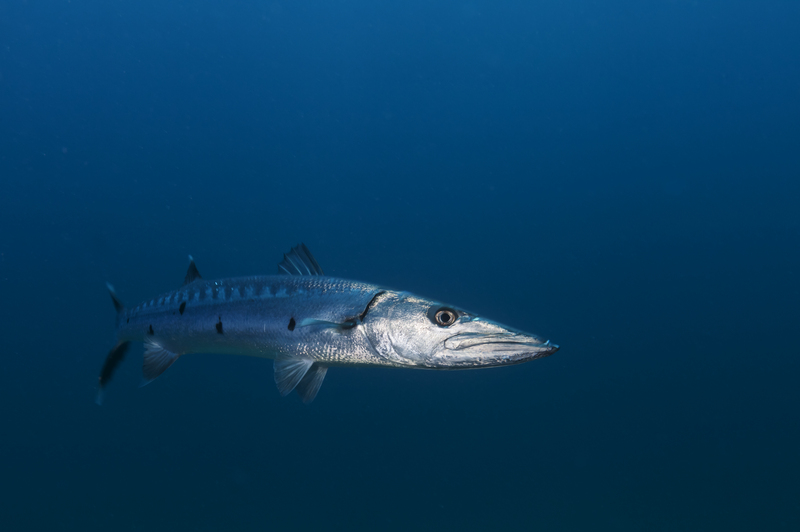 We had the good fortune to embark on this expedition and to appreciate the Cuban coast through the lens of great nature photographers Claudio Contreras-Koob and Manual Lazcano, and to be accompanied by the acclaimed Mexican reporter Alberto Tinoco and his crew from Televisa. Our first stop was in Jardines de la Reina National Park, an archipelago of small islands off the coast of South Cuba. 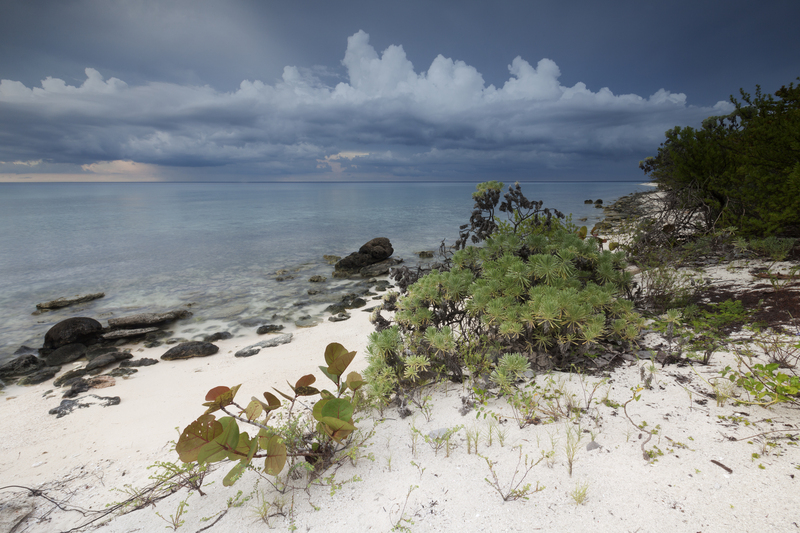 This area extends for more than 536,219 acres and its surrounded by coral reefs and untouched mangroves. 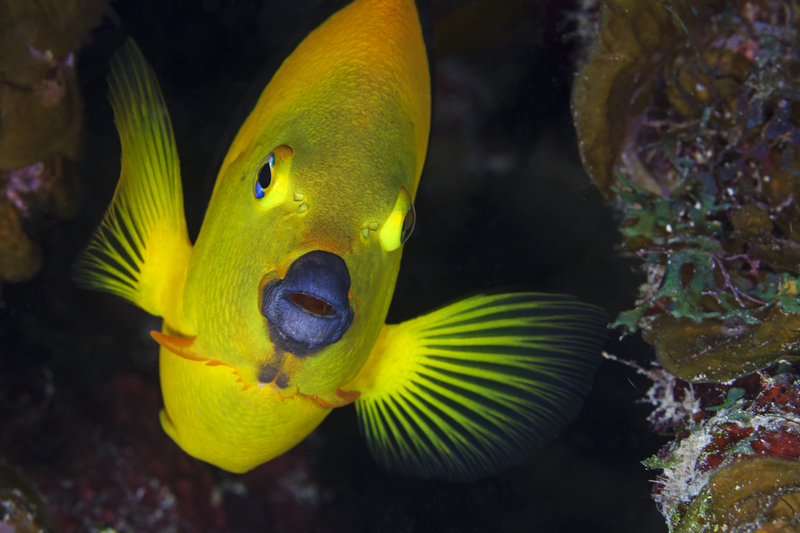 Each dive, without exception, is filled with so much incredible life. You can find reef and silky sharks, sea turtles, large groupers, a diversity of coral and reef fish. Even its beaches are blessed with an exotic diversity of species like, hutias, crocodiles, iguanas and large hermit crabs. 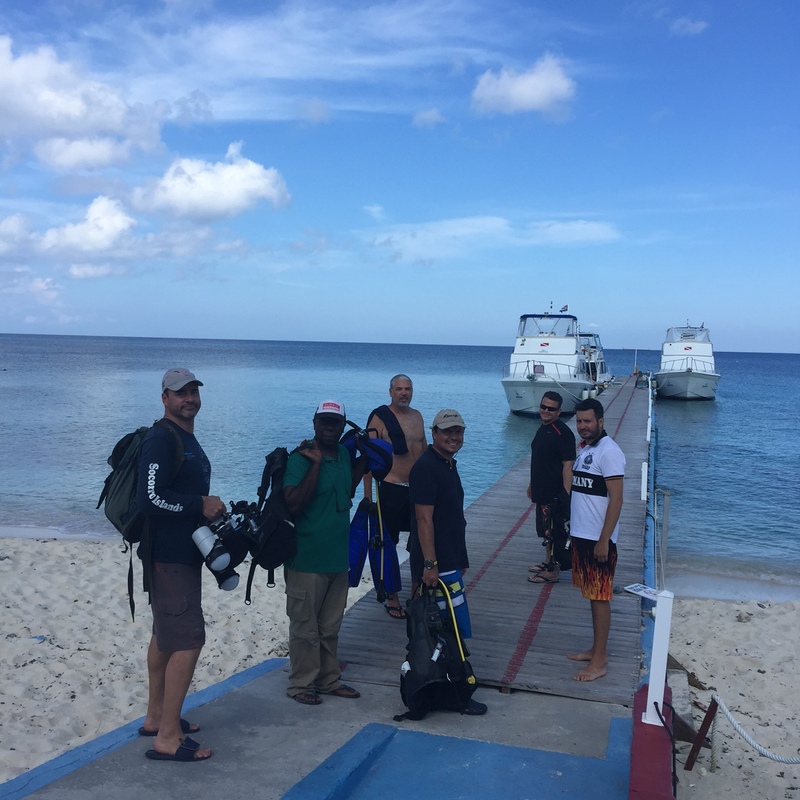 This area, without of doubt, has the best conserved coral reefs in the Caribbean ocean and the key to this well conserved area has been restrictions on fishing and tourism. Unfortunately, the cost for visiting such a remote area is relatively high, but the investments made to keep this place wild and pristine would be much higher. It would be a real shame if such an amazing and well conserved place is destroyed to accommodate tourism development. This is why WILDCOAST and its partners are committed to spreading the word about these conservation successes. There aren’t a lot of places like this in the world, and we must do everything in our power to make sure this place survives. Soon you will get a chance to experience this place through your T.V. by watching the show “Por el Planeta”. We will make sure to get you the link so you can see why this place is so important to conserve. 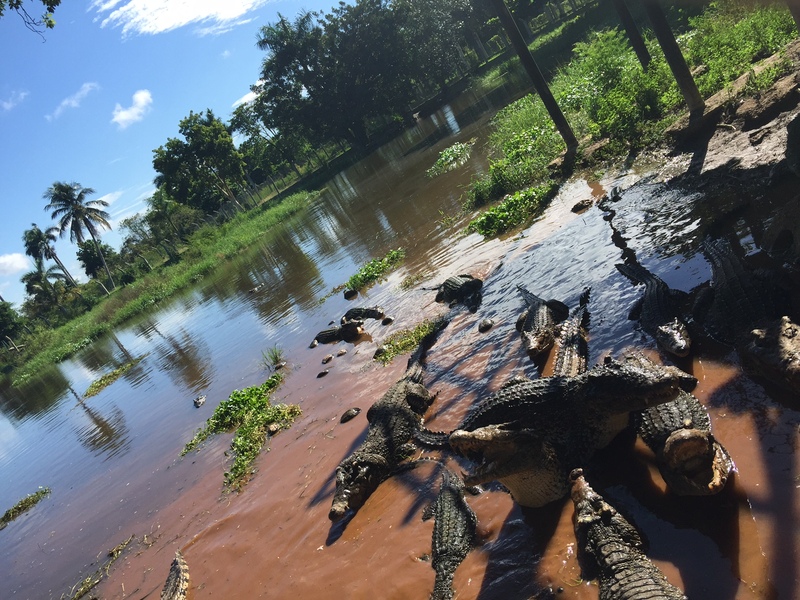 We visited the provinces of Mayabeque y Artemisa to check out the “Mangle Vivo” project directed by Sheila Chang from the Agency of Environmental Conservation, with the support of the Fund for Adaptation to Climate Change of the UN. This mangrove conservation and restoration project works to increase the capacity of coastal communities so they are able to adapt to climate change. Just about one hour away from Havana these communities are greatly impacted by climate change. The inhabitants of those communities still remember when the ocean waters where more than half a mile farther away than they are now. You can still see parts of former homes at a distance in the ocean. They explain that there was also a Highway that would run parallel to the beach but all of that is now underwater. “Now we use the roofs of those houses to measure sea level rise”, said a farmer. They are also worried about the salinization of their agricultural plots and aquifers. Given the prognostics, the Cuban authorities have started to work as fast as resources will allow on mangrove restauration, because they are the first protection of the land and those coastal communities. Since 2014, the project “Mangle Vivo” is working on reforestation and restoration of mangroves as a natural shield against flooding, erosion and salinization. The project involves the local population, including students, volunteers, and members of Cuban forest companies. “At the end of this three year project, we will restore about 2,963 acres of mangrove ecosystems”, said Ms. Chang in an interview with Televisa. The project has teams of people working in the field. “We not only plant new trees, but we also help nature take its course a little faster, for example, opening the brush so that more sun and water reach the small trees, explained a worker that lives in Batabano. 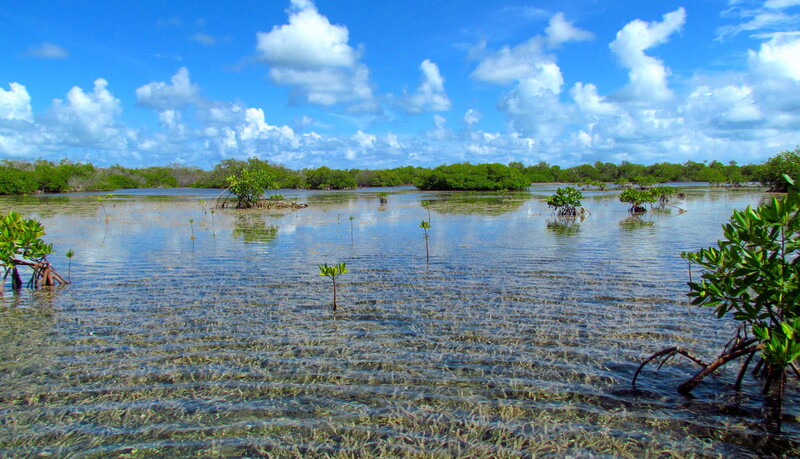 Cuba has 69% of the mangroves of the Caribbean, thus the project is being watched by many other islands in the region, and international experts are collaborating. 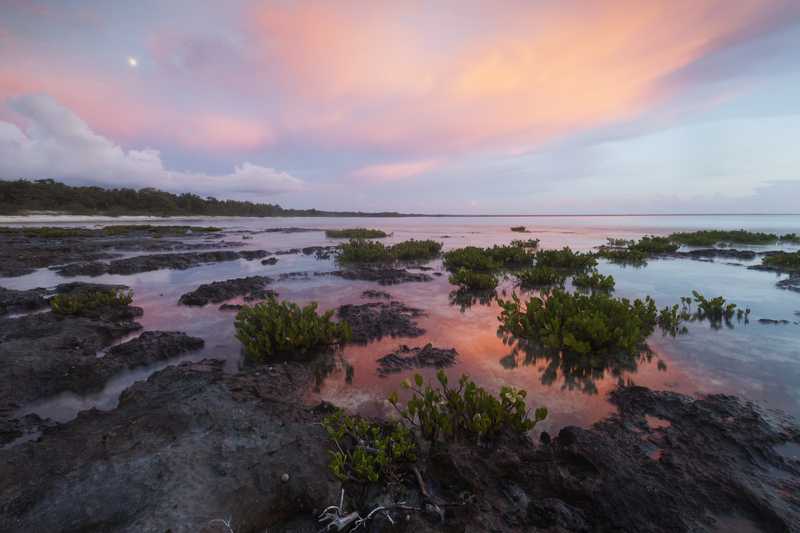 WILDCOAST is working in the National Park of Guanahacabibes, collaborating with park staff to conserve their incredible coral reefs, mangroves and marine life. 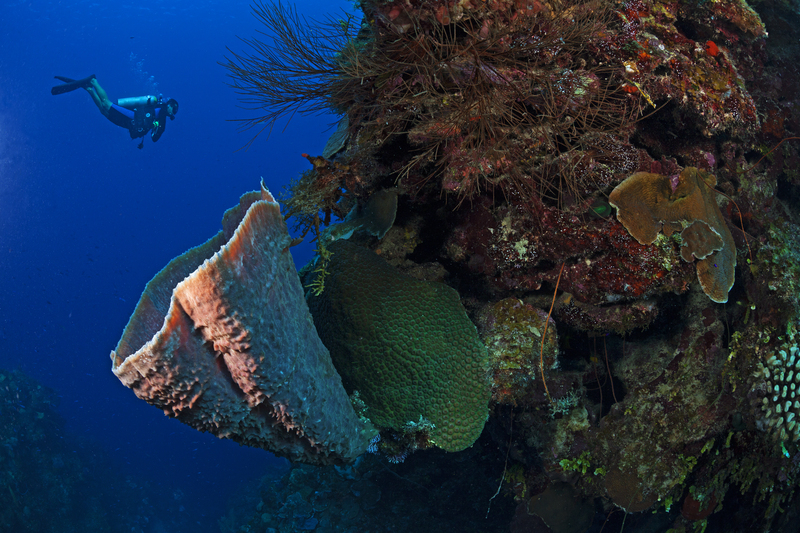 Our job is to help develop visitor management infrastructure such as interpretive materials and dive boat buoys, to facilitate exchanges between park staff in Mexico and Cuba, and educate tourists and U.S. tourism companies on the importance of protecting Cuba’s coastal and marine ecosystems. On this occasion Televisa interviewed Lázaro Márquez, director of the park, to talk about their conservation strategy and priorities for the park. 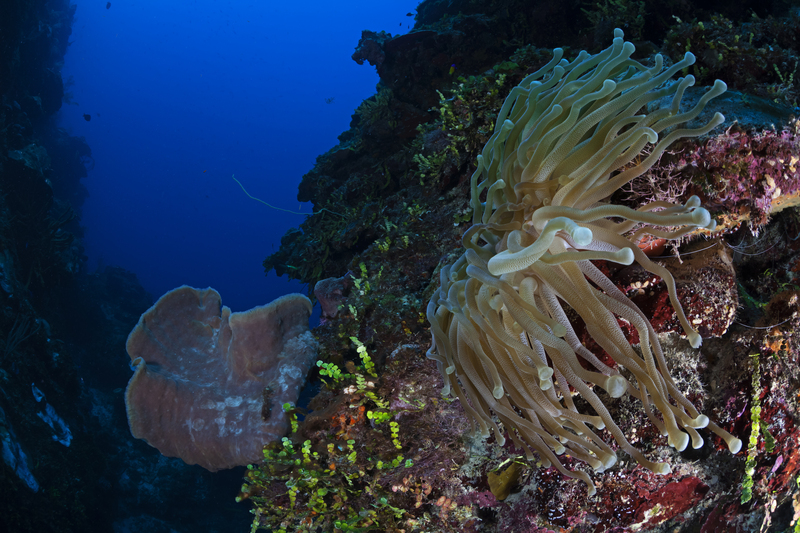 Thanks to the very clear waters of the park, photographer Claudio Contreras Koob was able to bring back incredible pictures of the very diverse and beautiful coral reefs and its awesome marine life, taken in four days of diving. We also visited Ciénega de Zapata, an internationally recognized wetland that has been maintained in its pristine conditions. Regular residents include flamingos and crocodiles, and its mangrove forest serve as an important tool to combat climate change effects. With a total area of 4,054 square miles, Ciénega de Zapata is located just south of the Matanzas province, it’s the largest wetland of the Caribbean and was declared a Biosphere Reserve in 2000. Here you see well-preserved vegetation of swamps, ancient mangroves, and beautiful beaches without any pollution. 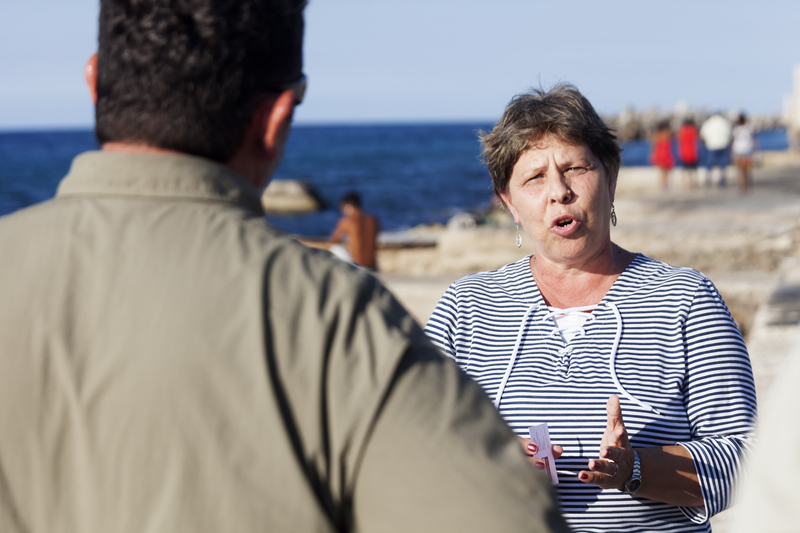 Lastly, we interviewed Dr. Maritza Garcia, President of Cuban’s Environment Agency, and one of the people making the strategic decisions on environmental conservations and protected areas in Cuba. She has a great commitment to maintain Cuba’s strong conservation efforts in light of possible future coastal development. Maritza is a great example of firmness and conviction for conservation and we were excited to speak to her. Helping spread the word about Cuba’s conservation efforts is crucial in order to influence decision making to protect their environment and we can’t wait to see Televisa’s segment on this expedition so everyone can see the beauty of this country. Stay tune in our social media networks and website!